Pleased to have my ghost short story, 'In Arcadia', published in the British print anthology, The Dark Bard (ed Catherine May, Indigo Mosaic, June 2013). The link takes it to the current retail store, but it will be available in Amazon soon. 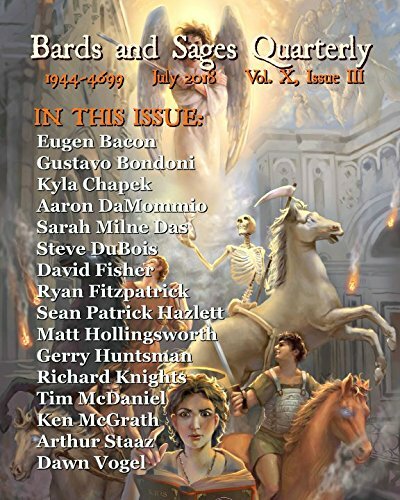 Pleased to have had my ghost story, In Arcadia, accepted by Indigo Mosaic – publishing's upcoming anthology, Dark Bard. For reasons that I can't exactly figure, except it is inextricably linked to my creative core, I set this story in England and I wanted it to be published in a British publication. Indigo Mosaic seemed to fit the model, and bingo, I'm in. I will post more details as they come to hand. No 16 acceptance for the year and, hopefullly, counting. He got to his feet and slipped on his winter coat. I cannot wait to tell Kate that she has been here. This is set in a scene that is factual, and several phrases are taken from Dickens’ published letters. The only liberty I took, apart from the psychological (and parapsychological) assumptions, is that Dickens did not visit Table Rock in winter.